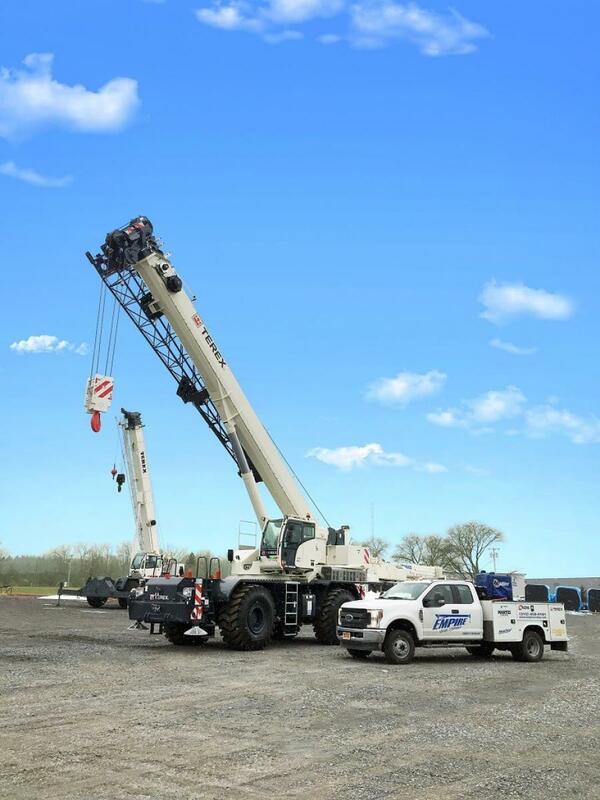 Empire Crane in North Syracuse, N.Y., recently added its first Terex RT 100US rough terrain crane. The recently introduced 100-ton (90 t) crane offers a five section, fully hydraulic boom that extends up to 154 ft. (47 m). Empire Crane has added the RT 100US to its inventory, which includes several Terex crane models. According to the team at Empire Crane, the new RT 100US incorporates many new crane features that will help crews increase productivity while working safely and efficiently. A few of the crane's features include the IC-1 control system with integrated diagnostics, an ergonomic cab with 18-degree tilt and three boom modes. The crane is easy to transport due to a narrow overall width of just 9.8 ft. (3 m) and removable counterweight. For more information about Empire Crane, visit http://www.empirecrane.com.